The Volcom Taylor Shell Snowboard Jacket has a cozy mountain lodge feel without skimping on high-performance tech. With Volcom's comfortable yet fashion-forward boyfriend fit, the Taylor Jacket features a high-low design that provides extra coverage and warmth. The V-Science 2-Layer shell with a 10K waterproof and breathable rating keeps you dry in a variety of conditions, without ever feeling stuffy. And if you get too warm, you can unzip the mesh-lined underarm vents to give you a blast of refreshing air. Loaded with must-have winter features like a powder skirt, interior goggle pocket, and Volcom's Zip Tech® Jacket to Pant interface, you are ready to take winter by storm. "Is this jacket heavy? Whatis it lined with? I normally take size small in a coat. Is volcom jackets true to size? 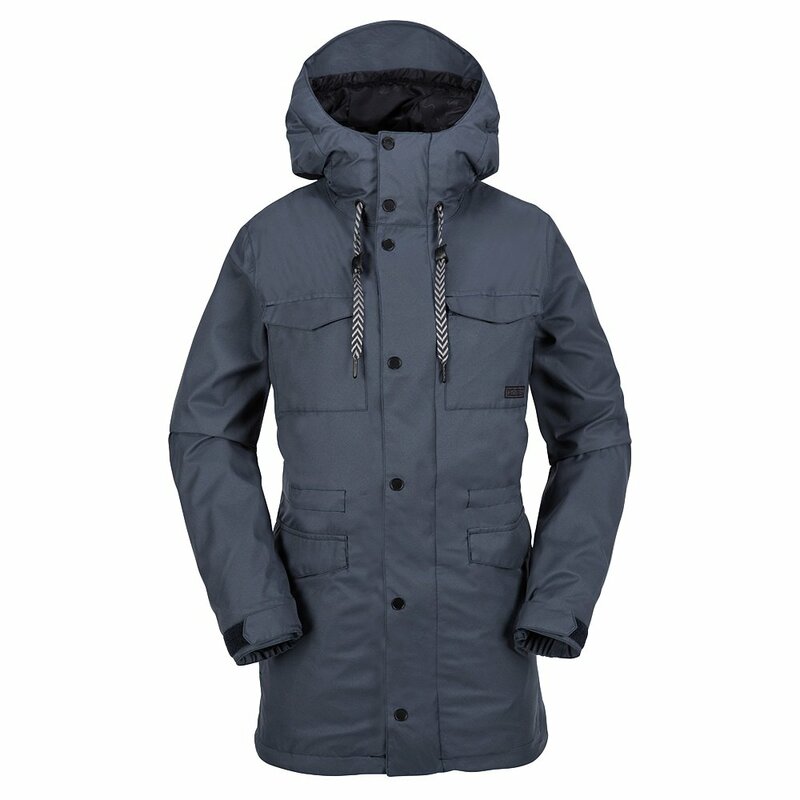 What size should I order if I am a size 6"
"The Volcom Taylor Shell Snowboard Jacket is NOT insulated but is lined with warm printed microfleece. It is a Boyfriend Fit (known for its comfortable and loose fit) which you should consider when selecting your size. According to the Volcom SIZE CHART you will need a size 6. Hope this information helps!" "Really like this jacket but can’t figure out the size I should order. I’m 5ft and 130lbs should I do size small or medium? " "Thank you for your inquiry. We recommend taking a look at the Volcom size chart for accurate measurements. We hope this information helps! "